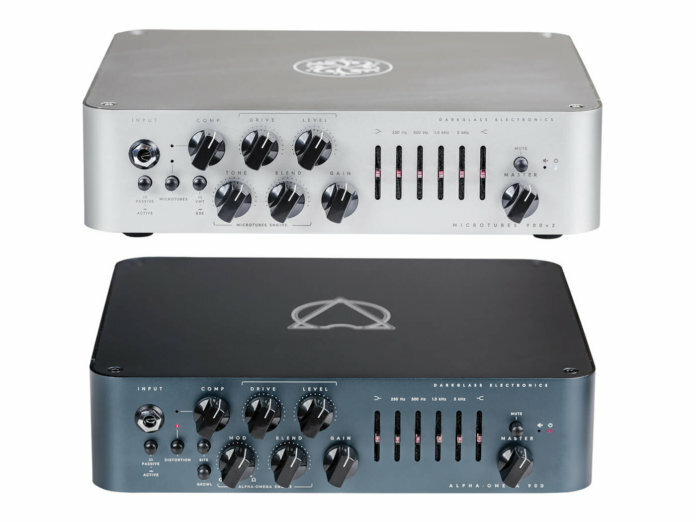 The Microtubes 900 V2 and Alpha·Omega 900 are compact amps with modern features. This amp is a versatile, powerful unit that builds on the original Microtubes. It features the drive engines from both the B3K and the Vintage Microtubes so you can achieve pristine cleans, vintage drive, as well as metal tones. Throw in a six-band equaliser, studio-grade compression, impulse response cabinet emulations and MIDI control, and you’ll find quite the beast in the Microtubes 900 V2. This sleek unit is based on Darkglass’ popular Alpha·Omega distortion preamplifier. It features the preamp’s Alpha and Omega drive engines, a studio-grade VCA compressor, and an ultra-quiet, six-band graphic equaliser that lets you shape tones from aggressive overdrives to pristine cleans. At the amp’s heart are the Alpha and Omega distortion circuits, which you can select or mix via the Mod knob. The Alpha is voiced for a punchy, tight drive with plenty of definition, while the Omega unleashes a brutal, pulsating drive sound. Both circuits can be further sculpted via a Bite and a Growl button. The former boosts high mids for added presence and definition, while the latter shelves bass boost for a fatter tone and enhanced low-end saturation. Otherwise, the AO900 has similar features to the Microtubes 900 V2. It can be loaded with up to three impulse response cabinet emulations, is MIDI programmable, and comes with aux input and headphone out options for quiet practice. 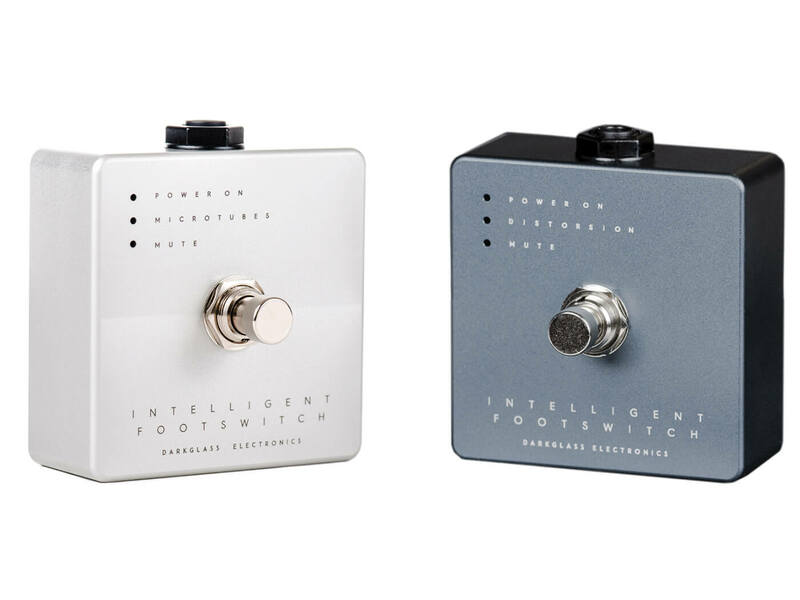 Both amps ship with the brand’s Intelligent Footswitch, which lets you remotely engage/disengage the amps’ respective drive engines at the stomp of a footswitch. Additionally, you can also hold down the footswitch for three seconds to mute the amplifier. The amps are estimated to retail at £1,069 each. More information at darkglass.com.